On Sunday, March 6, the Manchester Symphony Orchestra will reveal the secrets of symphonic music – classical and new – in an exciting music lesson filled with light, video and sound. The 3 p.m. performance in Cordier Auditorium on the Manchester College campus is an excellent opportunity for music lovers of all ages, especially children, to experience classical music and the role of individual instruments of the music. Tickets are $5 at the door. The Manchester Symphony Society is bringing Elyzabeth Meade to North Manchester for a world premier performance that traces the progress of music from composition to stage. Meade will demonstrate how she uses computers (MIDI) to compose and interface with musical instruments. Suzanne Gindin, assistant professor of music at the college, will direct the symphony in Benjamin Britten’s Young Persons’ Guide to the Orchestra. Based on a theme from Purcell’s Abdelazer (The Moor’s Revenge), the work is an overview of the entire orchestra, with narrated demonstrations composed by Britten highlighting the character and beauty of each instrument. The 50-member Manchester Symphony Orchestra is comprised of musicians from neighboring communities and the Manchester College community, led by Gindin. Meade received her Ph.D. in music composition and electronic music from the University of Oregon. 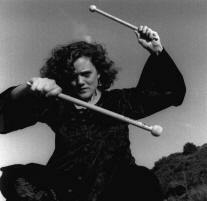 She composes for dance theatre, video and concert stage as well as her own performance works. Dedicated to inspiring a love of classical music, Gindin also was a student of the University of Oregon and is completing her doctorate at Northwestern University. She directs Manchester College's Symphonic Band and teaches music classes. Directly following the March 6 performance, audience members will have a chance to see the instruments up close and also to join the musicians for refreshments. Meade and area musicians also will present a lecture recital at 7:30 p.m. on Tuesday, March 8 in Wine Recital Hall.